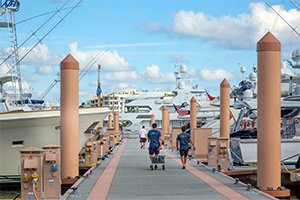 Designed and programmed to delight Owners, Captains and Crew alike, this world-class South Florida marina welcomes the International yachting community with superior facilities, exceptional hospitality and available slips up to 250 feet. Ideally located in the heart of the Palm Beaches, you’re just steps from everything this premiere South Florida destination has to offer, including: eclectic dining, beaches, golf, shopping, entertainment and museums. 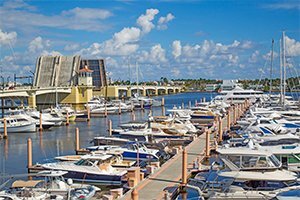 Palm Beach International Airport and private aviation facilities are just 15 minutes away from the marina. Designed and programmed to delight Owners, Captains and Crew alike. 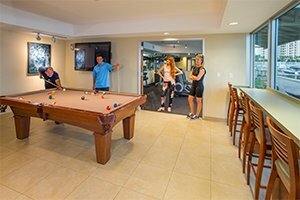 Amenities include a clubhouse, fitness center, business center and more. Get up to date Marine Weather Conditions for West Palm Beach.